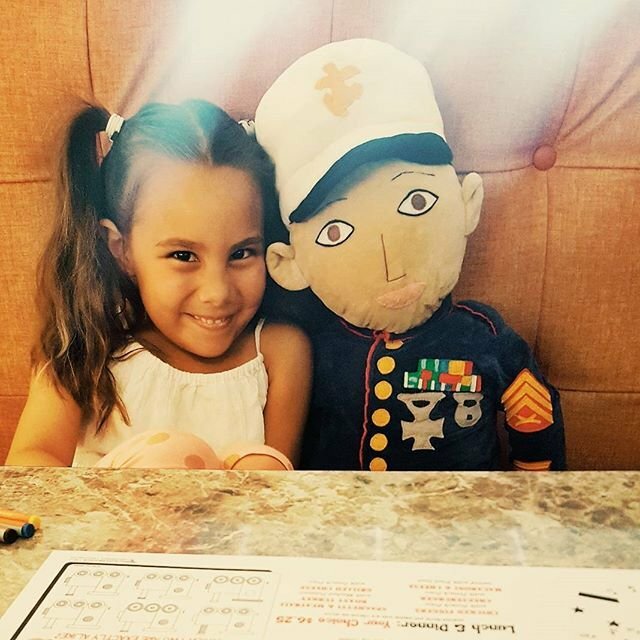 Our nation’s military might serve far from their families, but love overcomes any distance. 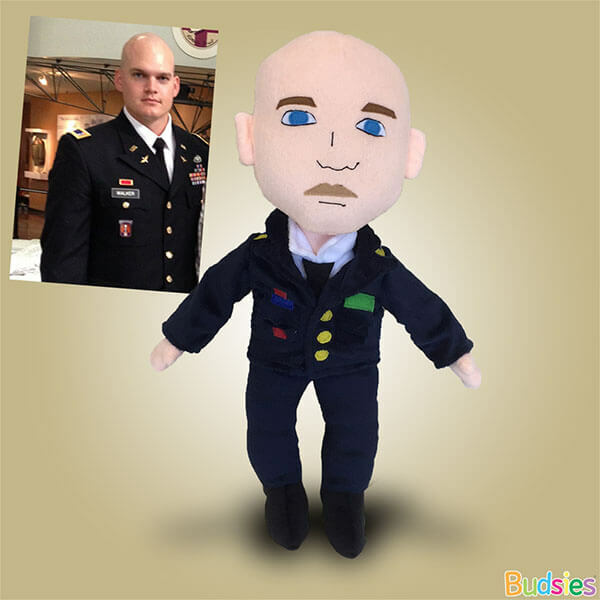 Celebrate that love with Budsies Selfies huggable custom dolls. 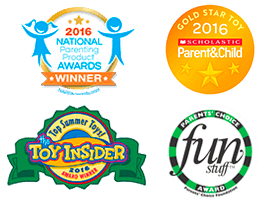 Does your child wish mom or dad were more present? Is there someone you love that you just don't see often enough? With so many daily distractions, staying connected with loved ones is difficult enough. 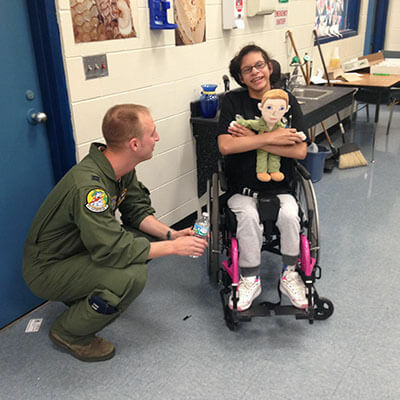 The schedules and deployments of the armed forces don't make things any easier. Everyone wishes they connected more with their loved ones. After all, it's the #1 regret people have looking back on their lives. 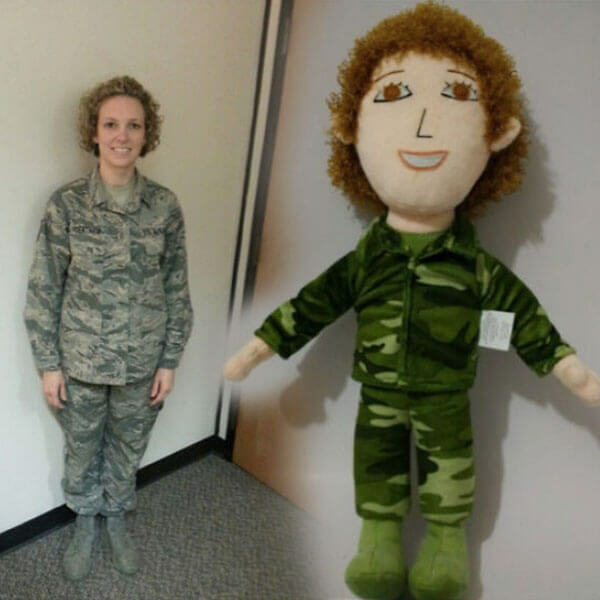 Sarah ordered this Military Selfie for her daughter Madison. 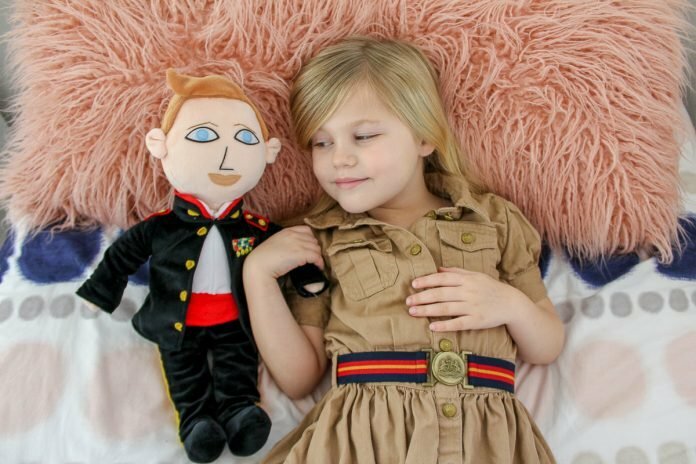 Sarah's husband Rob, and Madison's dad, is a member of the United States Marine Corps. 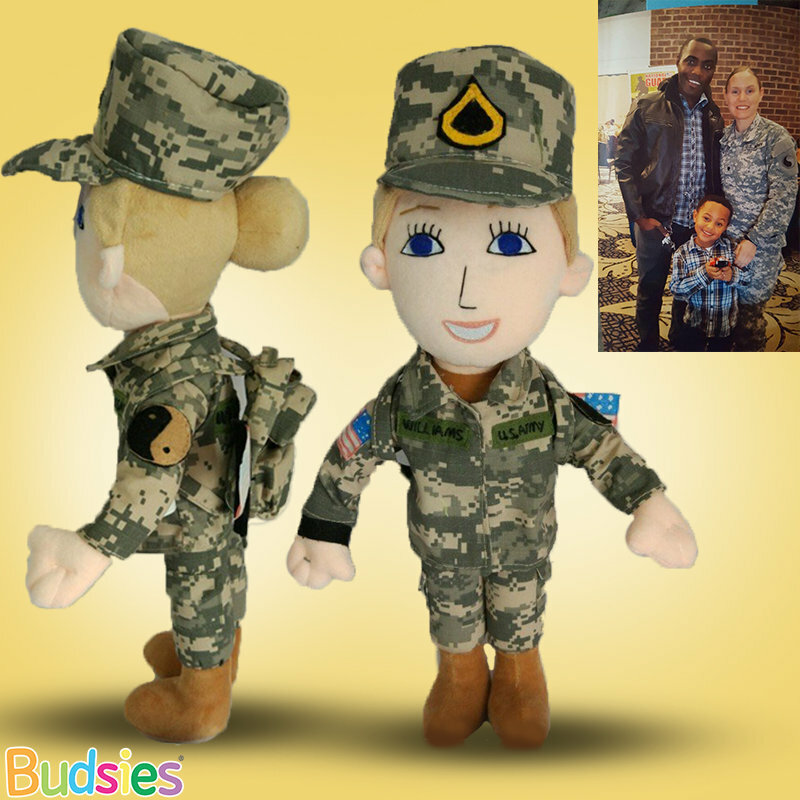 Sarah ordered this Budsie to help with Madison's transition from two parents to one during Rob's deployment. 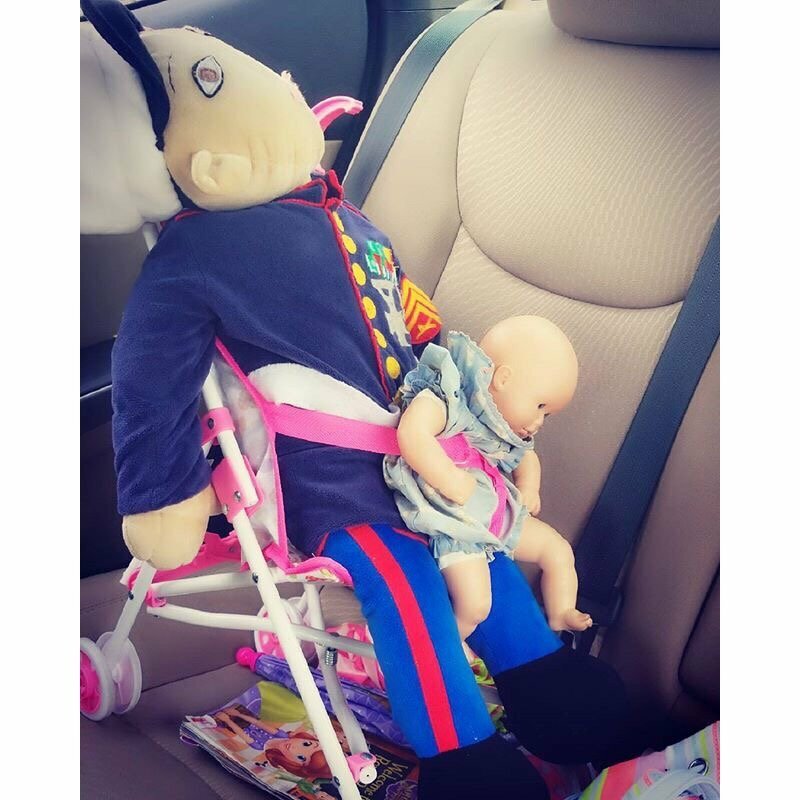 Madison refers to the Budsie as her "Daddy Doll", and loves to bring it around with her! 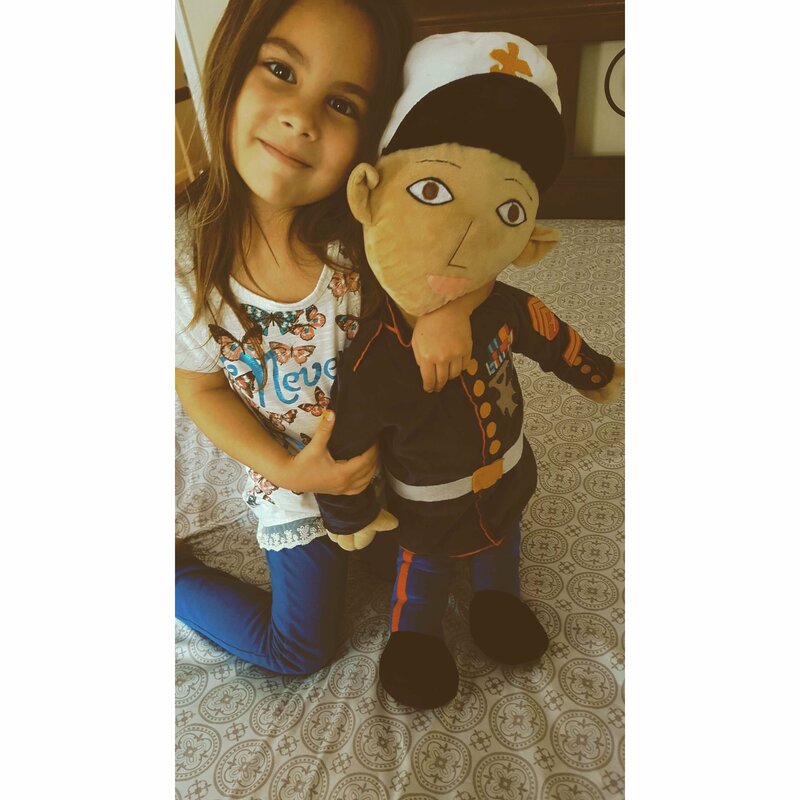 Rob's Military Selfie has gone on all sorts of adventures with Madison when her father is off serving the country. 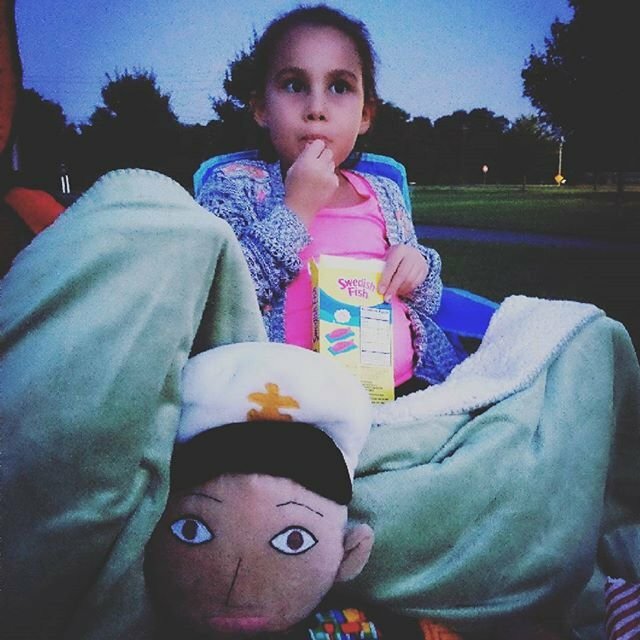 The Selfie has joined Madison for movie nights, road trips, brunch, and lots of snuggles! 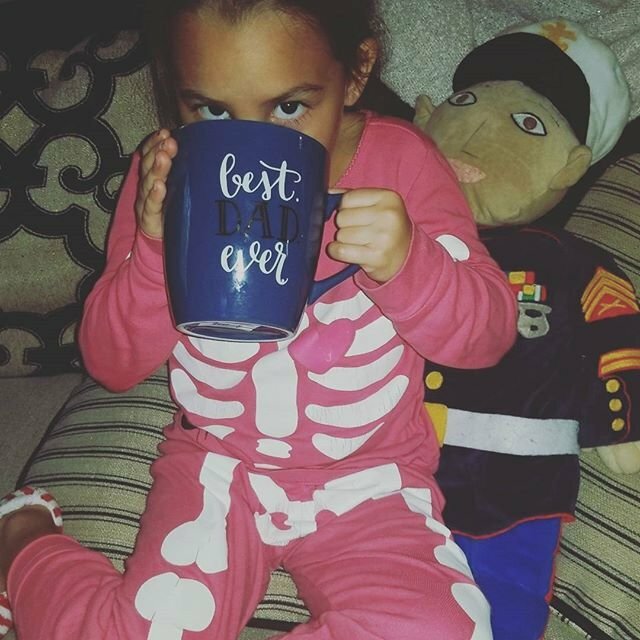 While nothing replaces having her parent with her at home, it's helpful for Madison to still feel that her dad is around, if even in a small way, while he's deployed. 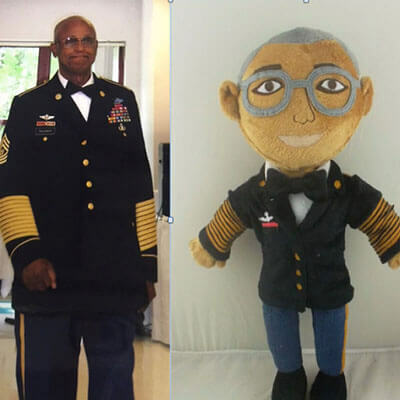 Check out some of our other Daddy Dolls! 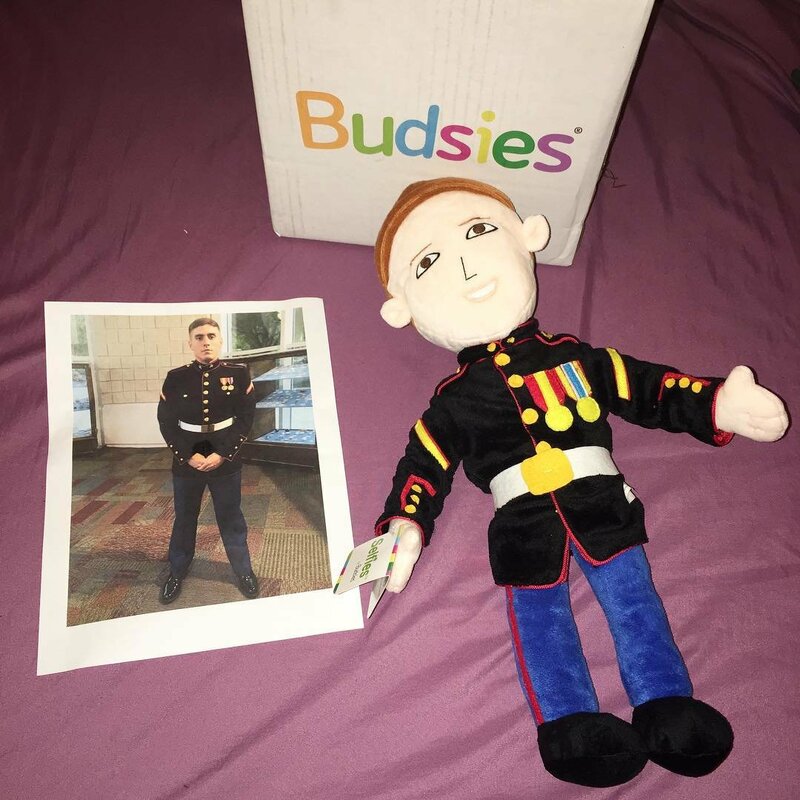 If Budsies Selfies haven't come to your base yet, we'd love to hear from you. After receiving your Selfies, give us a shout and we'll help you spread the good word to your community. 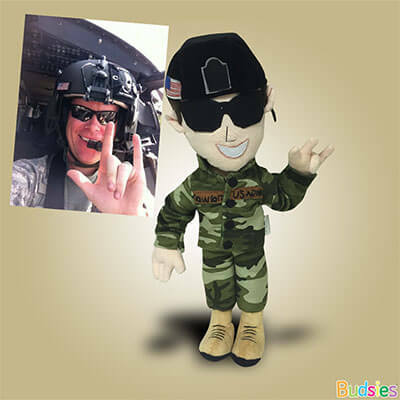 We will always embroider the name, rank, or any other text on any military Budsies Selfie free of charge. Simply write the desired text within the Description field while ordering your Selfie. We will do our best to match your camo/fatigues based on the patterned fabrics we have available. 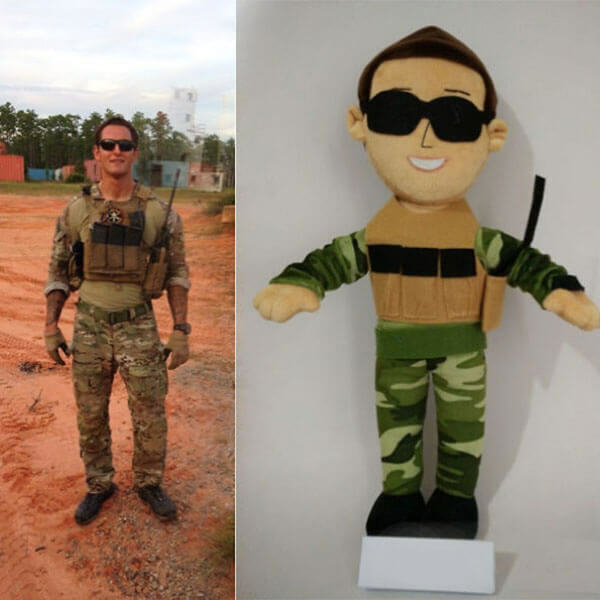 On behalf of our entire team here at Budsies HQ, I thank you and your families for your service. I appreciate the sacrifices you make for the endurance of our country. You are the reason our great democracy exists within a hostile world. 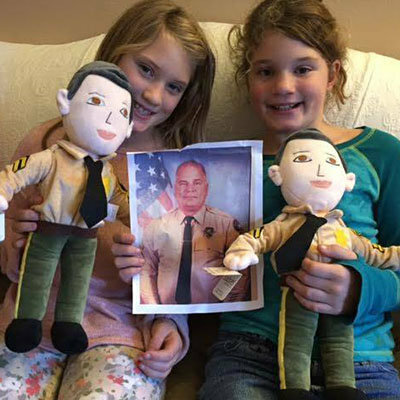 Thank you for giving us the opportunity to send some smiles (and hugs!) to your family. 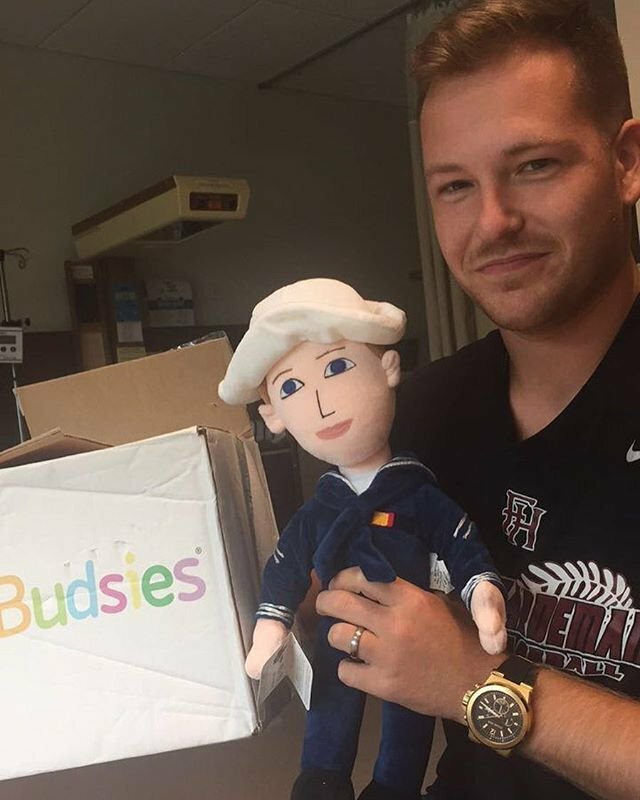 Captain Joseph Brzozowske, Air Force, brings his Selfie while volunteering in the community.